TEYSA Select provides intramural players with an opportunity to play on a competitive team in local tournaments during the late fall. The following sets forth the guidelines for the program. Players must be rostered on a TEYSA team for the current season. 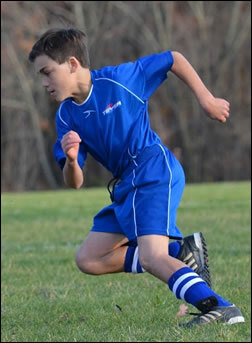 In the Fall, tryout and registration information will be sent to appropriately aged players. After tryouts, Conference Managers and Select Coaches will select players based on feedback from Intramural Coaches and tryouts. The aim is not only to select the most skilled players, but also those that show an eagerness to be on the team and can make the time commitment. The head coach, in consultation with the Conference Manager, will schedule 4-5 training sessions and/or scrimmages during October and November to prepare the team for the tournaments. TEYSA Select is a supplement to the intramural program, and players are expected to continue to participate fully in their regular intramural team’s practices and games. Because tournament dates cannot be moved, conference managers may need to make adjustments to their regular season schedule to accommodate the Select tournaments. TEYSA will cover the cost of uniforms and training. Parents will cover tournament fees and team patches.